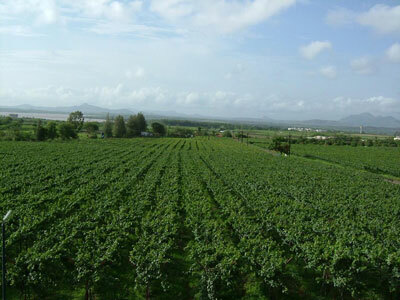 Sula Vineyard (photo courtesy SITA, India). Wine has a storied history in India—from the introduction of grapevines to the Indus Valley civilization in 5,000 BC to the introduction of Port by the Portuguese in Goa. The wine industry has blossomed in the past few decades, however—especially in the delightful grape-growing regions of Nashik, Pune and Bangalore. On this wine tour in India, sip some of the best vintages available on the subcontinent while also getting to see the vibrant culture and history of this amazing country. As you set off on your exploration of Indian viticulture, begin by feeling the pulse—and learning about the history—of Mumbai. Then, you’re off to Nasik, which is not only a celebrated wine-growing region, but is a sacred hub of the Hindu faith. Onward you’ll travel to Pune, home to the oldest winery in India and some fascinating historical sites. Your India wine tour continues in Bangalore, which is both a oenophile’s delight and a burgeoning technology center. Conclude with a tour of the legendary Golden Triangle: Delhi, Jaipur and Agra. It all adds up to a superb journey for the wine aficionado—not to mention an unforgettable journey to one of the world’s most fascinating countries. Join us on this wine tour of India. Originally built by the British for trade purposes, Mumbai has long been the Gateway to India for travelers. In fact, that is the name of the monument that was built to mark the visit of King George and Queen Mary. Today, Mumbai is the bustling commercial hub of the country. Take a morning excursion by boat to Elephanta Island, where you’ll explore the ancient cave temples noted for their sculpted panels. Later, sample the many flavors of Mumbai on a tour, including visits to the Prince of Wales Museum, iconic Marine Drive, the Dhobi Ghat, the out door laundry, the famed Victoria Terminus and more. Drive to Nasik, a religious pilgrimage site that is bursting with energy. It is said that Rama—the protagonist of the famous epic, Ramayana—lived here with his wife Sita, and as such it is considered a sacred place. It also happens to be the center of India’s burgeoning wine industry. Tour the city today, before setting off to explore the 2000-year-oldPandav Caves. After breakfast, drive to Sula Vineyards in Nasik. Nasik is an ideal setting for growing grapes—on par with the winegrowing areas of Australia and Spain—and Sula takes full advantage of this auspicious location. Started in 1997, Sula’s white wines were almost immediately recognized as some of the best in India. Since then, the winery has become a leader in sustainable winemaking. Make your way to Pune today, which was once the locus of power for the Brahmin Peshwa family until the British conquered it in the 19th century. Before you arrive here, though, you’ll stop at Chateau Indage at Narayangaon, India’s oldest winery and the first sparkling wine producer here. This “champagne”-style wine is their most popular, but they export a number of their 100 wines to more than 60 nations. Visit Fratelli Wines, an estate covering 240 acres with 13 different French grape varieties. The wine-making here is overseen by a master of the field—Piero Masi—from Tuscany, one of the world’s renowned wine-growing regions. If there is time, visit Pune’s Parvati Temple—the private shrine of Peshwa rulers—and Aga Khan Hall. Fly to Bangalore. Known as the “Garden City” because of its countless parks and tree-lined avenues, Bangalore has become famous more recently as the Silicon Valley of India. Set at an altitude of over 3,000 feet, the moderate climate only adds to the allure of this city founded in the 16th century. Take a tour in the afternoon, including a visit to Lal Bagh Botanical Gardens, the Mysore Arts and Crafts Center, thesummer palace of Tipu Sultan and the famed Bull Temple. Set off for Grover Vineyard, nestled in the Nandi Hills north of Bangalore. This area has become a hotbed of wine-making. Planted 2,000 feet above sea level in rich soil, the winery exclusively uses French wine grapes. After exploring this estate and tasting some of its best wines, you’ll return to Bangalore and, if there’s time, visit the Iskon Temple. Fly to Delhi today. An amalgamation of cities created from the 11th to 20th centuries, Delhi has seen the rise and fall of many emperors who have left behind striking monuments and riveting tales. You will experience the many facets of this captivating capital—both the modern and the ancient—as you explore both New and Old Delhi. Experience Old Delhi, from the opulent Red Fort and massive Jama Masjid mosque to the narrow bustling lanes ofChandni Chowk. New Delhi’s Gateway to India and the Presidential Palace showcase modern history, yet the 12th century Qutub Minar and Humayun’s tomb show that this part of town has an ancient past. Depart for Jaipur today. This “Pink City” teems with grand palaces and captivating legends of the ancient Rajputs. Talk with the locals as you walk through the streets, trying the local food and watching artisans at work. Explore one of India’s most famous and unforgettable cities. Ascend to the towering Amber Fort on elephant back. This impressive edifice full of gardens, pavilions and temples, and the Hall of Mirrors is a spectacle worth seeing. Later, marvel at the `Palace of Winds’, wander the ornate City Palace and admire the Jantar Mantar, an enigmatic stone observatory. En route to Agra today, stop in to Abhaneri, a village famous for its “Baoris” (step well), a unique and inventive way of harvesting rainwater. Then, visit Fatehpur Sikri — the short-lived Mughal capital that is now a fascinating ghost town—before arriving in Agra, home of the Taj Mahal. The poet Tagore once called this striking marble monument a “teardrop on the face of eternity,” and when you visit the Taj Mahal by sunrise, you’ll see what he meant. Later, explore the marble palaces, ornate alcoves and terrace pavilions of Agra Fort, before beginning your journey back to Delhi. On arrival, you’ll transfer to the airport for your flight home. This is a suggested India Wine itinerary—we’d be happy to customize an itinerary to fit your needs. Whether you prefer a shorter or longer journey, would like to include other parts of India, please contact us at 877-255-7438 or email us atinfo@geringerglobaltravel.com to discuss how we can create a personalized Wine India tour for you.